A Great Location. Welcome to the new Four Points by Sheraton Houston Hobby Airport. Youll love our great central location near downtown Houston with easy access to Interstate-45. Popular restaurants and corporate offices are all nearby, so youve got the best of everything within easy reach. Take a stroll at the Kemah Boardwalk, get lost in the wonders of outer space at the famous Johnson Space Center, or relax in the sands of Galveston there is something for everyone. Luxury Isnt Complicated. Rest easy in our 79 spacious guest rooms and suites, including the Four Points by Sheraton Four Comfort Bed, 37' LCD HD televisions, oversized desks, and trendy furniture. Help yourself to the free bottled water and take advantage of our in-room dining program. We also provide state of the art facilities with 1,420 square feet of elegant meeting room space. Make Yourself At Home. Grab an appetizer while utilizing our twenty-four hour business center or cool off in our outdoor pool. Have a cocktail and a meal in our full-service restaurant and lounge, or workout in our fitness center. Our personable staff will be sure to know your name before departure. Need to go somewhere? Our complimentary airport and local business shuttle is available upon request to destinations within 3 miles. 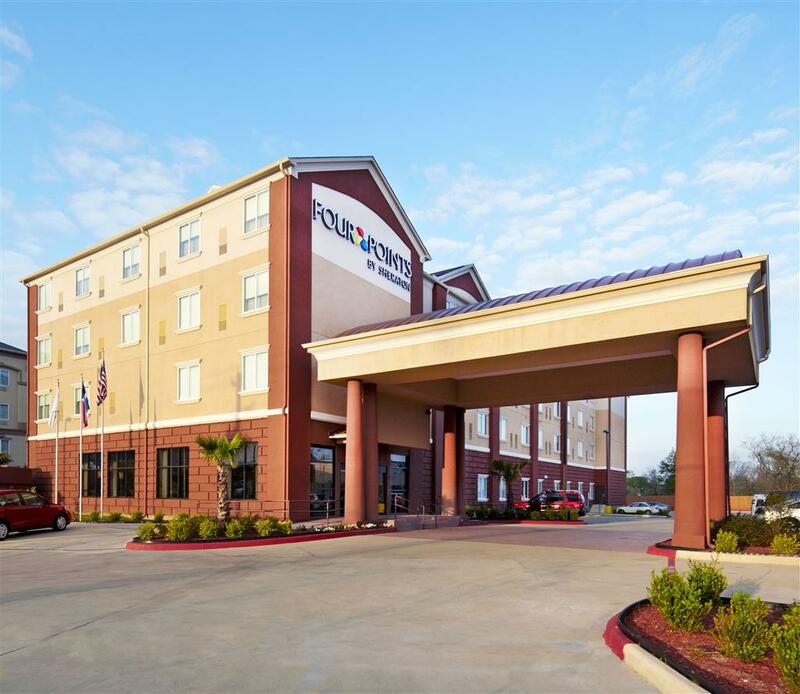 Located just minutes from Houston Hobby Airport off of Interstate-45, the Four Points by Sheraton Houston Hobby Airport is centered around major attractions, corporate offices, medical centers, and universities. Conveniently situated between Houston's Downtown and Galveston Island, guests have a variety of dining options in either direction. Take a stroll at the Kemah Boardwalk, get lost in the wonders of outer space at the famous Johnson Space Center, or relax in the sands of Galveston there is something for everyone. For the corporate traveler; George R. Brown Convention Center, Port of Houston Authority, and the oil and gas corridor can be seen from the hotel. Our complimentary airport and local area shuttle is available upon request to destinations within 5 miles. Located in the lobby, 747 Restaurant & Bar is the perfect place to grab a quick bite in a relaxed atmosphere. Classic American cuisine with eclectic twists is sure to satisfy your taste buds.